Phnom Penh is the capital of the Kingdom of Cambodia and has been widely regarded as the “Pearl of Asia” ever since it came to prominence in the early 20th century. 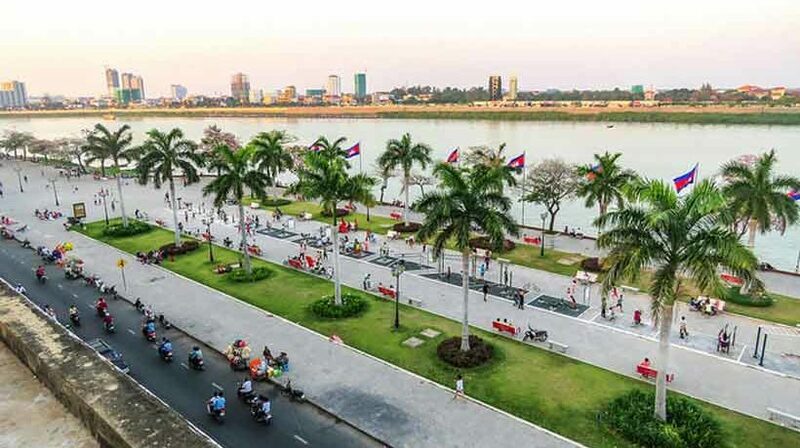 Phnom Penh is the largest city in the country and offers a diverse mix of historic cultural landmarks, French colonial buildings and grand boulevards, traditional markets, pagodas, and palaces. But make no mistake, this is a modern capital on the rise, with an ever expanding backdrop of glistening skyscrapers, multi-million dollar condos, international business centers, and shopping malls galore. 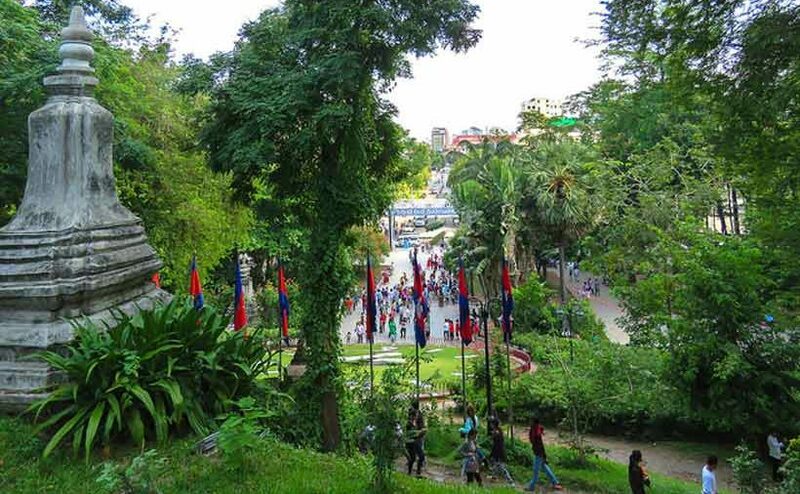 It is also one of Asia’s up-and-coming expat and tourist hotspots with over a million foreign visitors arriving at Phnom Penh International Airport last year alone. This is a city where expats can live on almost any budget thanks to extremely affordable property rentals and a cost of living that allows even those on a small income enjoy a life of relative luxury. Retiring in Phnom Penh is a simple process which requires you to complete a form and obtaining a one-month “ordinary” visa upon arrival at the airport. This can then be easily extended for an entire year, including unlimited entries and exits, by dropping in to a travel agency who will process it on your behalf for a reasonable fee of only $285. Unlike other countries in the region you do not have meet any draconian age or income thresholds to have your visa extended. All that’s expected is you respect the culture, people, and laws of the Kingdom of Cambodia, and as long as do so you are welcome to enjoy your retirement here as you see fit. English is the most popular second language and is widely spoken in Phnom Penh, which makes it easy to get the essential things done when you first arrive. Setting up a bank account requires a passport with a valid visa along with a residential address and there is a wide selection of large local, regional, and international banks to choose from. ATMs can be found all over the city, and international transfers to and from Cambodia are no more complicated than any other country. Getting a local SIM card from one of the top three main telecom networks is just as simple. All you need to do is show your passport and receive a free SIM card with bonus credits for making calls, sending SMS, and mobile data. Most expats no longer bother with getting Wi-Fi or fixed line internet installed at their home now that the mobile networks provide high speed 4G LTE mobile data at extraordinarily low prices. These days $1 buys up to 10GB of LTE internet, plus free calls and SMS for a week, which is considerably less than the cost in the U.S.
One of the joys of being an expat, and especially a retiree, in Phnom Penh is that you have complete freedom to enjoy whatever lifestyle you wish. There are an abundance of excellent local coffee shops as well as international franchises like Starbucks where many people choose to kick off their morning with coffee, French pastries, and free WiFi. There are many hundreds of excellent options for eating out, with restaurants specializing in cuisine from nearly every country in the world, including popular mainstream American outlets such as Dairy Queen, Carl’s Jr., Swensens, Burger King, and KFC. For those who are more partial to fine dining there are a large number of excellent French, Italian, Japanese, Chinese, and Khmer restaurants which offer high quality menus at reasonable prices. A dinner for two at one of the best restaurants in the city might set you back less than $50, including a bottle of wine and a generous tip. When it comes to shopping, some expats prefer to head to traditional Khmer markets like Psah BKK or Central Market for fresh produce. Others are more inclined to go to one of the city’s modern shopping centers like the popular Aeon Mall, which has hundreds of retail outlets, a Western-style supermarket, a Hollywood cinema, and even an ice skating rink. There are a variety of places to socialize and network including AmCham and Rotary, although having a drink at the city’s numerous wine bars and expat pubs remains the most popular way to meet up and chat with other foreign residents. Plenty of expats like to stay fit and healthy by getting a gym membership at one of the prominent establishments such as The Place or the Hotel Cambodiana which includes access to their tennis courts and swimming pool for $600 per year. Golf is popular with expats on a budget as there are several world-class golf courses in Phnom Penh with green fees ranging from $20 for a nine-hole course up to $75 at the highest end 18-hole golf course. And after a hard workout there is nothing better to do than visit one of the city’s professional health spas which have all manner of saunas, steam rooms, and masseuse therapists to help you relax. And if you’re in need of some spiritual healing, there a number of free Buddhist meditation classes held at places like Wat Langka throughout the week. The daily living costs in Phnom Penh are some of the lowest available compared to other capital cities in Southeast Asia. Rent can be incredibly affordable, utilities are reasonable, food shopping doesn’t set you back an arm and a leg, and dining out and other social activities are all within the realms of a retiree’s budget.